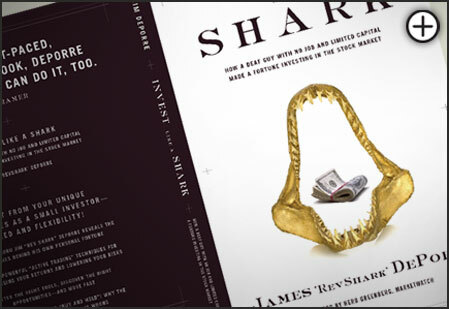 James ?RevShark ?DePorre is widely viewed as one of the nation's top stock market investment advisors. A self-made multimillionaire, he is president of both Shark Asset Management, Inc., and Shark Investing Inc., and has been a featured writer for Jim Cramer's TheStreet.com and RealMoney.com since 2001. A pioneer in educating investors online, DePorre joined Herb Greenberg in 1995 to found AOL's The Shark Attack trading site, which quickly became a premier destination for serious traders. In 1999 he founded Shark Investing, which has evolved from its chat room roots into a full service educational and financial content website. In this book, ?RevShark ?DePorre reveals how to maximize your powerful and unique advantages as a small investor: speed and flexibility. If you read TheStreet.com or RealMoney.com, you already know DePorre and his inspiring personal story of how he lost his hearing, career, and marriage…turned to online investing out of desperation…and succeeded beyond his wildest dreams. Now, in this fast-paced, insightful, and entertaining book, DePorre shows how you can do it, too.